It's that time again - my monthly post over at JoE. I'm talking a bit about being chosen--and how glad I am that I'm not God. Come see what I have to say about what's been known Since Time Began. But...that's not the ONLY reason I'm posting here today. Because TODAY (the third Thursday of the month) is the day of one of my very favorite memes (which, by the way, I just found out rhymes with "creams"): As of Late. This monthly meme (:::note to self - rhymes with "cream":::) is an opportunity to look back on the past month and see what you've been up to lately - and share it with blogdom. 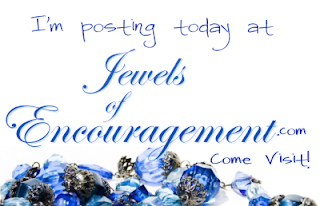 Stop by Christy's blog and check out her post, link up at the bottom, and read others' posts as well. Just plain fun! Lately, I've been wondering when the merry-go-round will stop. So tell me - what have YOU been up to as of late? btw - the new Monday Manna verse is up. You must be a teacher! I, too, am craving the end of school more than the kids. Sounds like you have a lot going on. Will keep you in prayer. I am right here with ya sista! Okay the first one made me laugh because substitute roller coaster and I have been thinking the same thing. Yay for writing projects...and juggling them better. I just love your heart sweet Joanne. Oh to hear that still, small voice! So important. It feels like a Merry Go Round at work for me, but fortunately the rest of life, at least now, is at a more leisurely pace, Praise the Lord! Love, love, love As of Late!